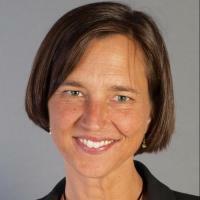 Employers no longer have the upper-hand when selecting candidates. The tables have turned and candidates have the power! What do they expect from companies before, during and after the recruiting process? 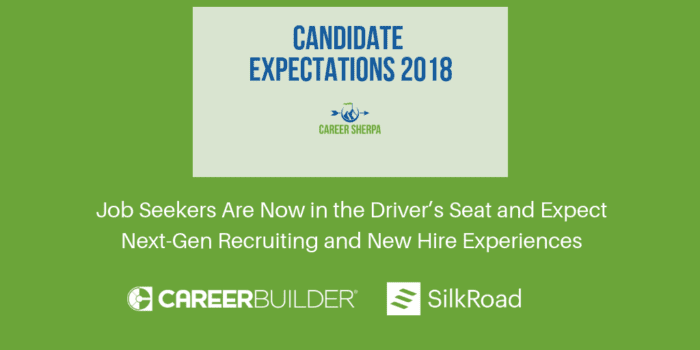 CareerBuilder and SilkRoad teamed up to survey 1,114 full-time employees and 1,138 employers about the candidate recruitment process. The summary of findings is in this October 30, 2018 press release. Summarized below are some of the key findings from their research and an infographic to share. Before, during and after the application, candidates reveal how they want to be communicated with and what they expect from employers. 68% of employees believe their experience as a candidate reflects how the company treats its people. 82% of employees expect employers to provide a clear timeline for the hiring process and keep them updated throughout the process when they apply for a job. 43% of employees say they have higher expectations for how employers will treat them as a candidate. 55% will give up and move on if they haven’t heard from an employer within two weeks of applying. Candidates give less than 10 minutes to a job application (20%), or two to three pages on a mobile device (21%), otherwise they drop off. 51% of job candidates report they’ve looked for other jobs even when an offer has been extended and the background check is in process. Employers say, on average, 1 in 7 candidates (14%) walk away after they accepted the offer. Approximately 67% of employers report almost a quarter of new hires not showing up after accepting a position. 9% have left a company because of a poor onboarding experience. 51% of employees expect HR to check in with them regularly throughout their first year of employment. CareerBuilder is more than just a job board. CareerBuilder provides end-to-end solutions designed to help employers find, hire and onboard great talent, and job seekers build progressive careers as the modern world of work changes. SilkRoad delivers an employee onboarding and recruitment technology.